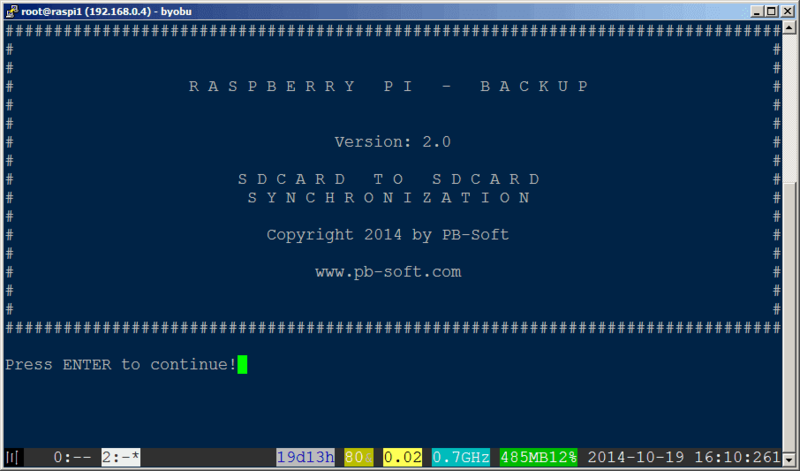 The RPIbackup scripts (Bash) will copy all the data from the standard/main SDcard of the Raspberry Pi to a backup SDcard installed at an USB port. Backup the main SDcard to the backup SDcard. Backup the main SDcard to the specified backup SDcard. Install a second SDcard to one of the USB ports of your Raspberry Pi. Copy the backup scripts backup_pi.sh to your Raspberry Pi. Make the script executable: chmod +x backup_pi.sh. Follow the indications on the screen. Copy the backup scripts autobackup_pi.sh to your Raspberry Pi. Make the script executable: chmod +x autobackup_pi.sh. 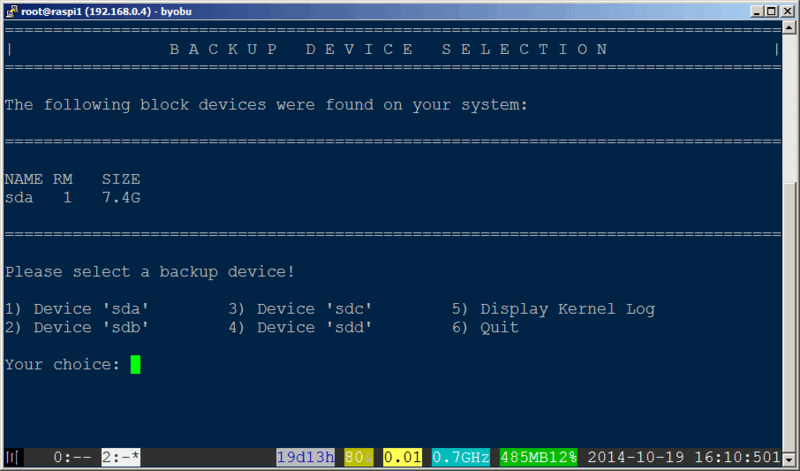 Get the name of your backup device (in the following example 'sda'). Check the output of the backup script for errors. Create a cronjob for the backup task. The RPIbackup scripts are licensed under the MIT License (Expat) which is published on the official site of the Open Source Initiative.